Fall/Autumnn is 'Sweater Weather' and since I was lacking in the comfy sweater department, I thought it be the perfect time to look around. I got a couple of the no button shawl like draped cardigans, one that is knit (similar here) and one thinner jersey material (similar here). 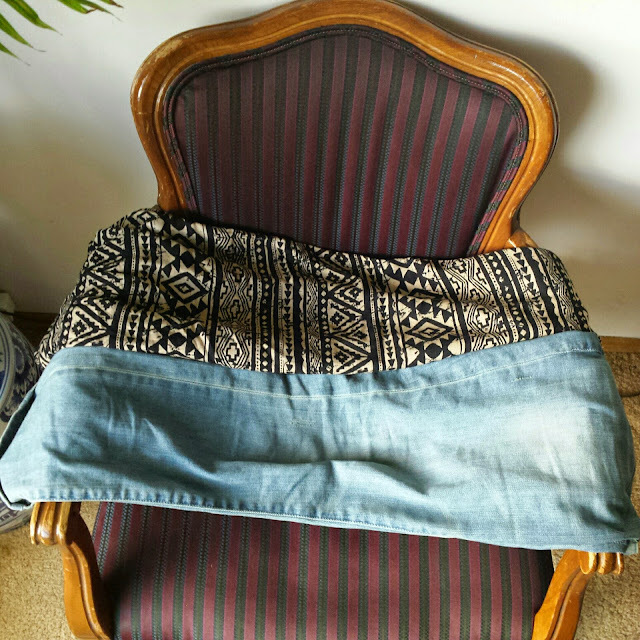 They will be perfect for layering over dresses and shirts and underneath thicker coats. 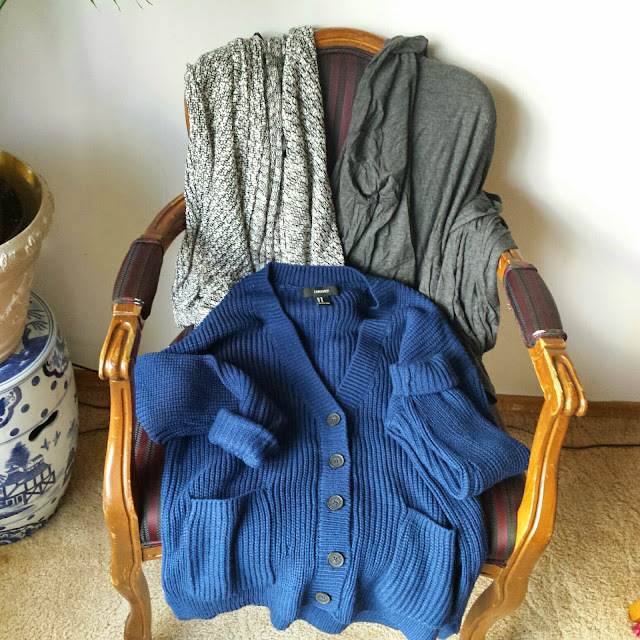 I wanted a thicker sweater and saw this blue popcorn knit cardigan with large buttons. I liked this one mainly because it wasn't overly long. Sometimes you don't want one that covers the bum bum! I then ventured into the pants section mainly because I wanted another pair of boyfriend jeans that weren't distressed so I got the Skinny Boyrfriend Jean. This pair was perfect, though a little bit too loose at the waist. (I ordered the from the Love 21 items and ordered my usual size, 28, but probably should've ordered down to a 27) but its nothing a belt can't fix or even drying them in the washer to shrink them a bit. And of course harem tribal pants (similar here) because they're super comfortable and one of the best things to wear work because they seriously feel like pajama bottoms but don't necessarily look like it! Links are provided above if any of the items are of interest to you if I can find them. 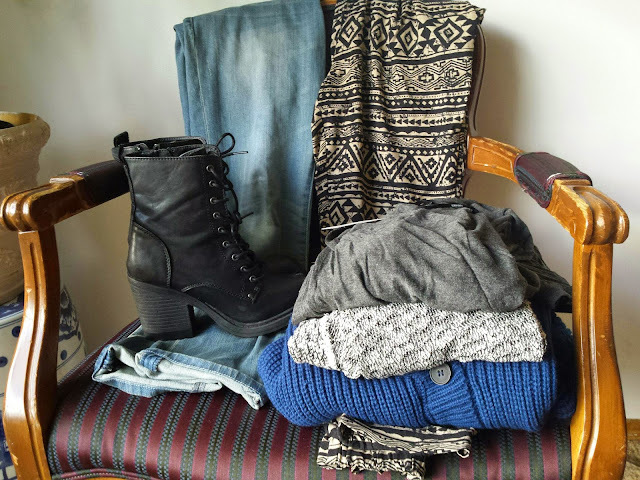 Readers, what are your favorite fall clothing pieces? Any piece in your wardrobe that is your definite go-to? Let me know! 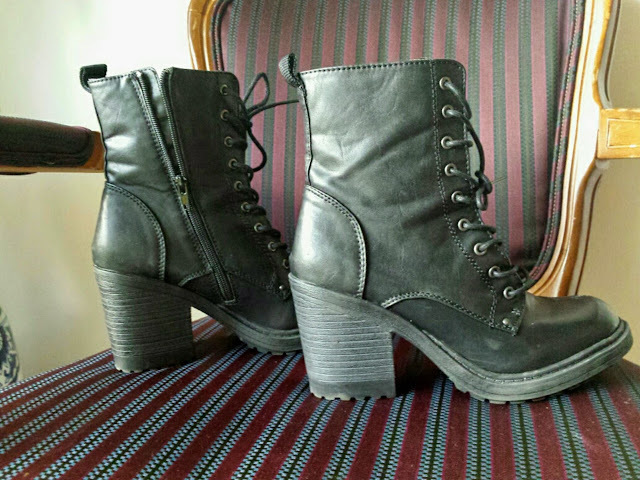 thanks =) I can't wait to wear them throughout Autumn and into Winter.